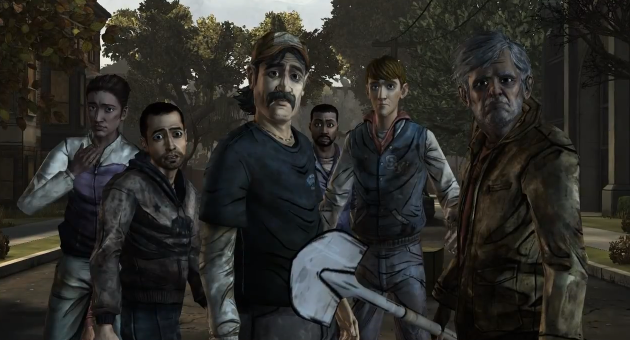 Telltale Studios, which is taking a set of 5 chapters of the game The Walking Dead , has released the trailer for what will be the 4th and penultimate episode of the series, entitled "Around Every Corner", which have below. The chapter is written by Gary Whitta, who wrote the screenplay for the movie "The Book of Eli", and we will even more tense situations with the undead, and with the appearance of new characters. It is assumed that the chapter should be available for download later this month, although we played on iOS still hope the third chapter, so surely that will come later on other platforms. We are really enjoying the game, and if you have not already tried it I highly recommend it if you like adventure and zombies.